It doesn't matter where you work, whether you are a senior citizen or a child, or where you live in the world; change is inevitable. The pace of change is accelerating, especially with technology and how it impacts on the workplace and the home. 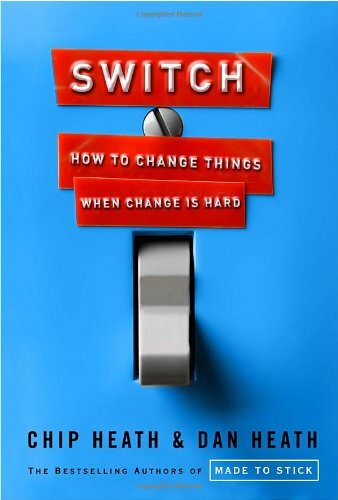 As a manager I have studied about and used many change techniques over the years. I look forward to sharing some of these with you. If you enjoy writing, please join me here on Infobarrel. So you are a manager or a team leader and you've just found out that a big change is coming down the line. You cringe inside as you think about how your people will react to the news. You can just hear them now. "How stupid is that?" "What were they (they being the managers) thinking?" "All managers are idiots." "Management should be taken out and shot!" The trouble is, that while you might agree with some of the things your team will say, you know that this time the senior managers are right. Your company has to change if it wants to survive. So what will you do? Just sit back and let the changes happen? Or will you take positive action to ensure that the changes are successful and that you all still have jobs a year from now? No one likes to feel like their life is out of control. Not having any say about things that are changing can leave people feeling stressed, anxious and alienated. That can start a negative spiral of resistance that, at best, delays the inevitable and at worst, causes harm to both the organisation and the resisting employee or employees. And guess what? Managers and Team Leaders get stuck in the middle. As a manager or team leader you are expected to make the dictated changes actually work. Take a look around you and find examples where people have successfully changed the way they do things or have introduced something new. It doesn’t have to be big. Something small will do just as well. Use that example to help your team understand the behaviors you are looking for. Build on your bright spark examples, small as they are, to create big change. Don't think you've got any bright sparks? Maybe you need to look a little harder or maybe you need to take responsibility for creating those bright sparks. Use a bit of psychology to recognise and reward even the tiniest hints of the behavior you are looking for from your team. Eventually it will all add up into full blown change. The authors give an example of young cancer treatment patients who, once the main treatment was over, were refusing to take their medication once they went home. This hugely increased the likelihood of getting cancer again. By using a video game, researchers were able to increase the likelihood that these young cancer patients would take their medicine. Why? Because it made them feel like they were in control of their life again. Dan Heath talks about the importance of feelings in getting change going. Make it easy for people to do the right thing. By shaping the path, or reducing people’s ability to it the “wrong” way, your team has a much greater chance of changing their behavior and habits more quickly. Every parent or person who has looked after small children knows about “shaping the path”. When my children were little I would ask them “which socks do you want to wear today, the red ones or the blue ones?” If I didn’t ask that simple question I would either get much dithering while they tried to decide which socks to wear or I’d get bare feet shoved into shoes on a cold winter’s day because deciding was “too much trouble”! So what do you do to get your team ready for the changes coming down the track? Finding and recognizing people who are already handling change well, gives others an example to look at and copy. Connecting people's hearts with something they care about in relation to the change hugely increases the potential that they will bring their hearts and minds to the task of creating positive and successful change. Narrowing down people's options makes it easier for them to respond in an appropriate way. Less choice can be good in situations like this. Change is hard, especially if that change is something you did not start yourself. Being a change leader can be even harder because you often have less control and more responsibility than most employees. By using the techniques from Switch you will still have to work really hard, but the chances of success will be much higher. 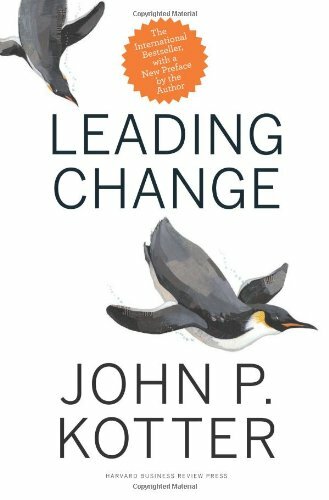 This practical book on leading change is well worth reading. It has lots of practical and useful examples and is well written. This book is a classic and also well worth reading. It is based on research done by the author and has stood the test of time.